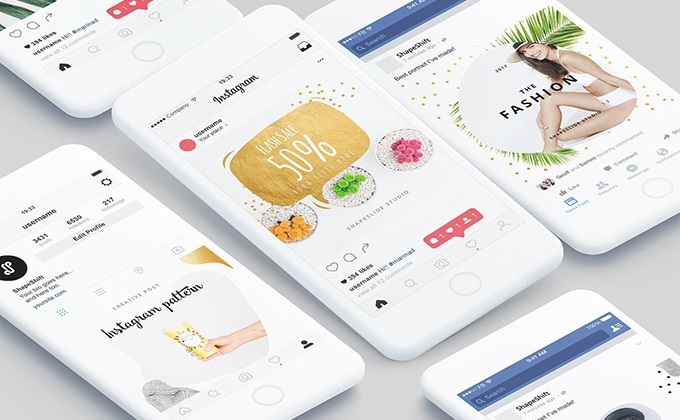 Download Animated Instagram Templates For Free. We’ve got 12 awesome templates which have embraced pure creativity and vibrancy to paint your post as bright as they’ve never been yet. Compatible with Photoshop and PowerPoint, they do not require extended design skills, being limited by simple drag & drop mechanism. Along with the social media templates, you may be sure to get a pile of handy links to provide yourself with clear instructions, free fonts or photos – in case if you don’t feel like using yours. The design has never been as simple as that, ain’t it?